Come Talk to the Local Arkansas Land Specialists at our Cave City Office! We specialize in all types of Arkansas Properties! Land for Recreation and Hunting, Row Crops, Poultry Farms, Cattle Farms, Pasture Land, River Frontage, Residential Homes, and Commercial Properties. Our team is committed to providing the highest level of old-fashioned service and honest dealing to help you with your land or home buying needs. We are not only passionate about the outdoors, but understand the ins and outs of buying rural property and the inherent difficulties of doing so with traditional real estate companies. We can and will help you locate the property of your dreams. 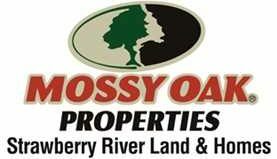 Why work with Mossy Oak Properties Strawberry River Land and Homes? We list all types of properties: large & small tracts, cattle & poultry farms, row crop farms, recreational land and hunting… if you’re looking to buy — we can find it for you. Our Mission is to help you in buying or selling properties in Arkansas. Find out more about Mossy Oak Properties — our people, our core values, and what we stand for. Mossy Oak Properties offers a different type of real estate experience. We see real estate from an outdoorsman’s point of view — because it is the only way we know how.